Although it is a substance that most of us consume everyday, caffeine can be a very dangerous drug that can have a detrimental effect on health if taken inappropriately or by those who already suffer from some medical complaints. Caffeine is a naturally occurring product that is found in beans and leaves of many plants around the world. It is present in many of our everyday foods and drinks, and can also be harvested and sold as a supplementary drug, often used by students, sports people and those with busy and hectic lifestyles. It acts as a stimulant and alters the function and physiology of the brain and nervous system primarily bit can also interferes with digestion and vitamin absorption. 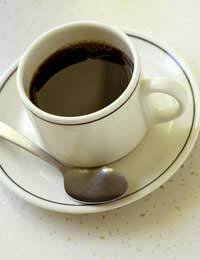 Sources of caffeine include coffee, tea, chocolate, cola drinks and some medicines available from pharmacists. It is also found in a variety of sports drinks and energy supplements used by many athletes. How Does It Affect Vitamin Absorption? One of the main side-effects of consuming too much caffeine is a frequent urination. This can cause the body to become quite easily and quickly depleted of some of the nutrient essential for maintaining good health. Minerals that can become depleted very easily include calcium, magnesium, sodium, phosphate and potassium. Calcium is essential for bone development and strength, good teeth, muscle contraction and some nerve functions. Magnesium is needed in order to convert food products into energy and for keeping the teeth, bones and muscles strong. Sodium is needed in moderation to help keep the water content of the body at a healthy level. Potassium is needed for good cell maintenance, especially of the heart muscle. Caffeine is also thought to inhibit the absorption of iron and some of the A and B vitamins.Iron is an essential part of the diet and needed for red blood cell production and function, for the muscles and as part of the immune system. If you absolutely must drink tea and coffee, add plenty of milk to the drink in order to make up for the amount of calcium absorption that may be lost. Try drinking an extra glass of milk every day also to keep calcium levels healthy. Try and consume your caffeine between meals, not just before or just after. Give your body the chance to try and absorb some of the goodness from food before caffeine enters the system and prevents this process. Where possible, restrict the number of soft drinks and amount of chocolate consumed by young children. Children are at the most vulnerable and require a balanced diet full of plenty of vitamins and minerals but this may all be in vain if they are drinking lots of cola and eating lots of chocolate.If necessary, switch your normal brands of drinks and chocolate to caffeine free alternatives. If it is taken in small amounts, caffeine will not be too damaging to health, but if consumed in great quantities, as many people do by drinking energy drinks or similar, or from drinking too many soft drinks or coffee, it can be detrimental to health both psychologically and physically. There seems little point in being extremely careful about maintaining a healthy diet full of fruit and vegetables if gallons of cups of coffee are drunk as this will prevent the benefits of the food items from realising their health benefits. I'm actually shocked. That people spoke out against this article in the way that they did. It's not even a question of whether or not caffeine inhibits nutrient absorbtion. One can just look at Linus Pauling Institute's study on caffeine. It's comprehensive and thorough. In my opinion I actually have a beef with the writer for giving caffeine a break. You should have showed pictures. Especially of teeth of Britains. Who notoriously drink tea. To the point they have a time designated for it. Britain's bad teeth development is no coincidence. It's also known clinically that caffeine increases risk for type 2 diabetes. Regardless of the grammatical errors, the question should be is the science correct? It's easy to torpedo an article for grammatical missteps. But it's hard to torpedo true science. One mistake that I can say the writer made, was not interviewing (by phone) researchers with the science. They will gladly do interviews they are trying to brand themselves as well. One thing about research, there is someone, somewhere whose an authority on just about every subject. This truly is a terrible article. Aside from the numerous grammatical errors much of this information is quite simply false. There are also many differences between the tea and coffee, the caffeine in tea has even been touted as healthy, and adding milk to your tea (even a small amount) blocks the absorption of its antioxidants and nutrients. You should really check your facts before you post material like this. Interesting information that I was honestly unaware about caffeine depleting our body of vitamins and minerals from the diuretic effect. The one caution I was already taking with caffeine is to make sure I am intaking too much and for too many days because I have learned that it can wreak havoc on my cortisol levels. Thanks for this information.. This is the worst health article I've ever seen. It's almost pure blabber. Not a single source is cited or even mentioned offhand. You make multiple references to consuming 'too much caffeine' without ever quantifying a normal or excessive amount. It's like someone did a bunch of research on caffeine, consolidated it into one poorly organized single-page article, then decided to expunge every piece of useful information. I can guarantee that the primary sources for this article were already secondary or tertiary sources themselves, and probably much more informative — as this information is all over the net. So what was the point of your having digested that information, only to pass it on in the most impotent form possible? You might as well have painted an abstract painting inspired by caffeine and posted a picture of that; it would have at least been original, if just as useless. Stop pumping out useless garbage that clutters up people's search results.